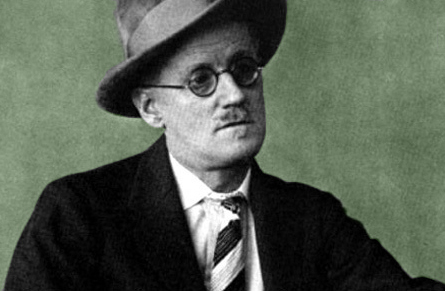 Almost eight years before the publication of Dubliners, James Joyce was involved in a tense correspondence with Grant Richards, the man who originally agreed to publish the manuscript. The printer originally hired to set the book had objected to its content and refused to print it. This led Richards to believe that the book could not be published without, in his words, “suppress[ing]” it. He eventually passed on publishing the book altogether. You say that the difficulties between us have narrowed themselves down. If this is true it is I who have narrowed them. If you were to recall your first letter you will see that on your side they have broadened a little. While I have made concessions as to the alteration of a word in three of the stories you are simply allowing me to use it in a story where, not having noticed it until I pointed it out to you, you had not not objected to it. Moreover you now say that you wish to leave out altogether the story ‘An Encounter’. You said nothing of this in your first letter and it was I, again, who pointed out to you the ‘enormity’ in it. It is true that you concede one of the disputed passage in ‘Counterparts’ but, inasmuch as you say you have no feeling on the subject, I suppose the concession costs you much less than those I have made cost me. I mention these facts in order that you may see that I have tries to meet your objections, we are agreed now about ‘Grace’, ‘Ivy Day in the Committee-Room’ and ‘The Boarding-House’. There remain only the second passage in ‘Counterparts’ and the story ‘Two Gallants’. I invite you to read the former story again. The incident described is (in my opinion, if that counts for anything) essential. It occurs at a vital part of the story and, if it is taken out, the effect at the end is (in my opinion) lost. However (you see that it is really I who narrow the difficulties between us) if you can point out to me expressly any word or phrase which I can alter without omitting the incident, much as I dislike to do so, I will again try to meet you. I have agreed to omit the troublesome word in ‘Two Gallants’. To omit the story from the book would really be disastrous. It is one of the most important stories in the book. I would rather sacrifice *five* of the other stories (which I could name) than this one, it is the story (after ‘Ivy Day in the Committee-Room’) which pleases me most. I have show you that I can concede something to your fears. But you cannot really expect me to mutilate my work! You state your objection to ‘An Encounter’ (an objection which I was imprudent enough to provoke) so mildly that I imagine this will not be one of our difficulties. In all seriousness I would urge the interference of the printer as soon as possible if my book is not to dwindle into a pamphlet, for each bout of letters, as it brings some little concession from my side, brings also some new little demand from yours. And as I have told you all along I am convinced that your fears are exaggerated. Many of the passages and phrases over which we are now disputing escaped you: it is I who showed them to you. And do you think what escaped you (whose business it is to look for such things in the books you consider) will be surely detected by a public which reads the books for quite another reason? I regret very much that the interview you suggested earlier in the correspondence is impossible, I believe that in an interview I could much more easily defeat whatever influences you in holding your present position. As for the disastrous effect the book would have if published in its present form it seems to me such a result is more likely to hit me than you. Critics (I think) are fronded of attacking writers than publishers; and, I assure you their attacks on me would in no way hasten my death. Moreover, from the point of view of financial success it seems to me more than probable than [sic] an attack, even a fierce and organized attack, on the nook by the press would have the effect of interesting the public in it to much better purpose than the tired chorus of imprimaturs with which the critical body greets the appearance of every book which is not dangerous to faith or morals. You cannot see anything impossible and unreasonable in my position. I have explained and argued everything at full length and, when argument and explanation were unavailing, I have perforce granted what you asked, and even what you didn’t ask, me to grant. The points on which I have not yielded are the points which rivet the book together. If I eliminate them what becomes of the chapter of the moral history of my country? I fight to retain them because I believe that in composing my chapter of moral history in exactly the way I have composed it I have taken the first step towards the spiritual liberation of my country. Reflect for the moment on the history of literature in Ireland as it stands at present written in the English language before you condemn this genial illusion of mine which, after all, has at least served me in the office of a candlestick during the writing of the book.